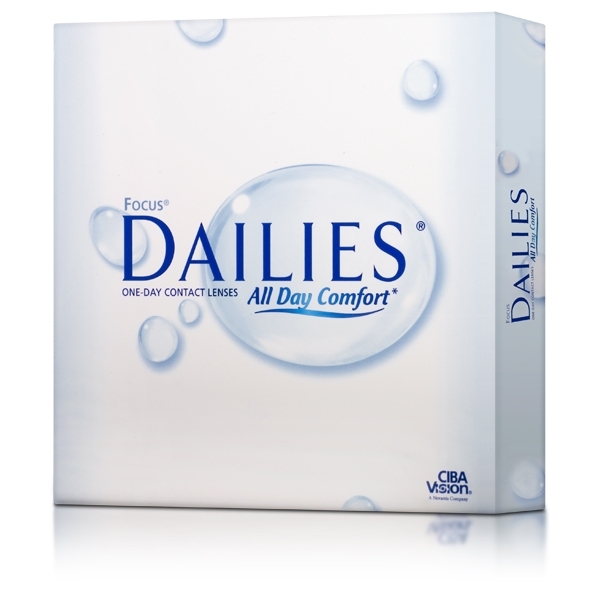 Focus Dailies Contact Lenses are the only daily disposable contact lenses with AquaRelease, a special moisturizing agent that releases every time you blink, to help keep your contact lenses fresh all day. Now isn't that the comfort you've been looking for? Each box contains 90 daily disposable soft contact lenses in buffered saline solution.